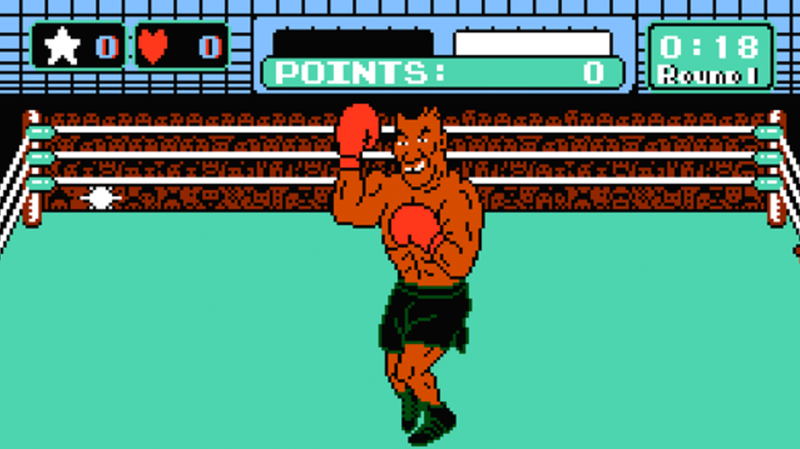 16 Hard-Hitting Facts About Mike Tyson’s Punch-Out!! If you wanted to knock out Iron Mike in the late '80s, you only had one choice: Mike Tyson’s Punch-Out!! for the Nintendo Entertainment System. Here’s everything you need to know about the addictive console version of the classic arcade game. While NES consoles didn’t have the technical capabilities of arcade units and required some game redesigns, Mike Tyson’s Punch-Out!! picked up some bonuses on its trip into players’ homes, including animated cut scenes, background music for fights, and a new system for saving your progress (or jumping ahead) with passwords. Nintendoficionados who submitted high scores from 1987’s Golf U.S. Course Famicom Tournament received gold-colored Famicom (the Japanese equivalent of the NES) cartridges containing the game’s near-identical precursor, with Super Macho Man as its final foe. The game’s manual establishes that Little Mac—a 17-year-old, 107-pound kid from the Bronx, and the game’s hero—came under Doc Louis’ wing from a chance meeting, after which the coach entered him into the World Video Boxing Association. The instructions also establish that Super Macho Man, who serves as the ‘end boss’ in the Super Punch-Out!! arcade game and the NES Gold version, is a 27-year-old from Hollywood, Calif. His glitzy background explains trash talk like "I work on my tan harder than I'll have to work on you," "I don't smoke... But tonight I'm gonna smoke you," and "My body is just so totally cool!" Game creator Genyo Takeda has said that he didn’t intend for the Nintendo poster boy to be in the final version of the game and that he added Mario as referee during development without permission from the company. When nobody noticed Mario’s presence during the final proofing phase, the plumber added “boxing referee” to his resume. While Tyson went on to become an iconic champ, he hadn’t won his first world belt when Nintendo licensed his name and likeness for the game. Nintendo of America president Minoru Arakawa attended one of Tyson's bouts prior to his 1986 victory over Trevor Berbick that claimed the World Boxing Council belt. Arakawa was impressed and signed Tyson for Nintendo at a pre-world champ price. Nintendo let the contract lapse before his subsequent legal troubles. Many of the game’s character sprites are used for two characters each, with changes made to the colors, head, and special moves only. Mike Tyson’s sprite was used for Mr. Dream, who replaced him as the series’ final Dream Fight opponent after Tyson’s contract expired. As a parody of boxing’s real-world governing bodies, the WVBA invoked a number of rules tailored to console fights during its reign in the late ‘80s. WVBA boxers were subject to final judgment by referees, a loss-inducing time limit (if they were Little Mac), and the three knockdown rule. In 2009, it began allowing boxers who pass the 100-loss mark to wear headgear during fights. The wallops didn’t end with the Minor, Major, and World Circuits. By entering the code 135 792 4680, holding SELECT, and pressing A and B together, players could open a “Another World Circuit,” a ‘secret’ mode of play in which the order of fighters is different and all bets are off. After starting with King Hippo, Little Mac works his way through Great Tiger, Bald Bull, Piston Honda, Soda Popinski, Don Flamenco, Mr. Sandman, Super Macho Man, and finally Tyson himself, but is forced to retire automatically upon any loss. Entering the code 800 422 2602—Nintendo’s customer service phone number at the time—in the main menu of Mike Tyson’s Punch-Out!! would set off a busy signal. Two Genie Codes for the game were similarly self-referential: the code SAYZEY would trigger Mario Bros. mode and give him a white hat, while PTTZZZ would render gameplay in classic Game Boy black-and-grey. "The holy grail of a video game is easy to play, hard to master," said Cashmere Productions game developer Jeremy Pope to ESPN in a retrospective on the game. "Punch-Out!! nailed it by utilizing a set of mechanics that never changed, having a set of characters with cool backstories and making the gameplay challenging. In grade school, I set up a camcorder and videotaped myself beating Tyson so I could prove it to my buddies." In February of 2015, Mike Tyson’s Punch-Out!! fan Jack Wedge released a video of himself beating the game 14-0 while blindfolded, making him the first person on record to do so. In 2013, Tyson took a beating from Glass Joe in front of Fox Sports 1's cameras.